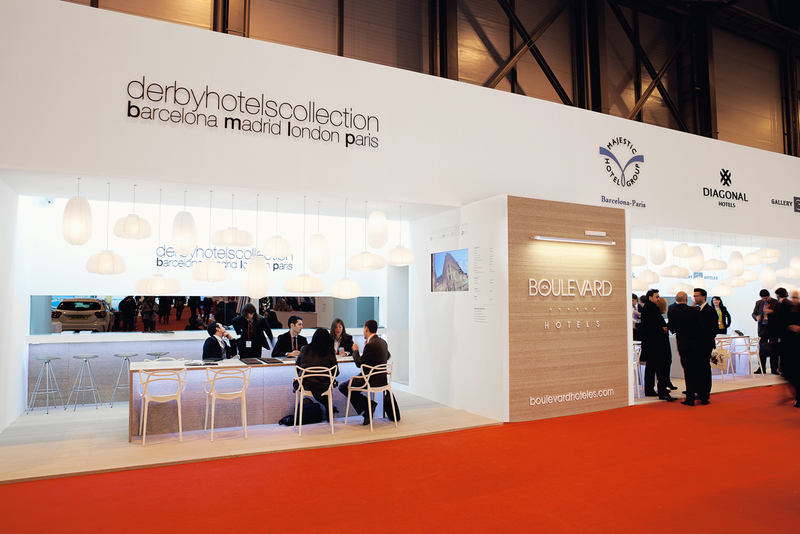 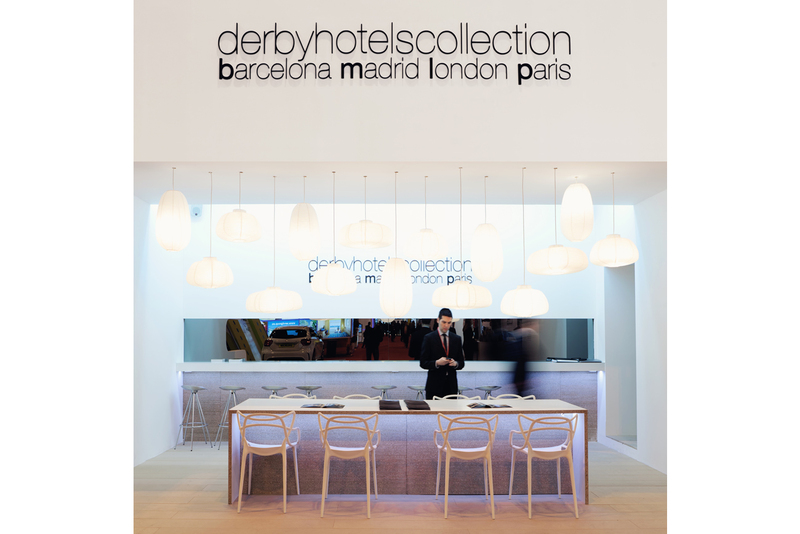 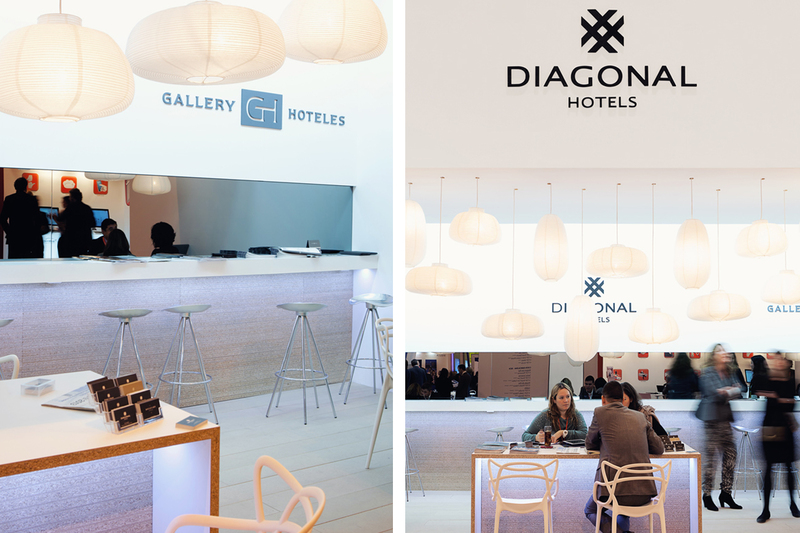 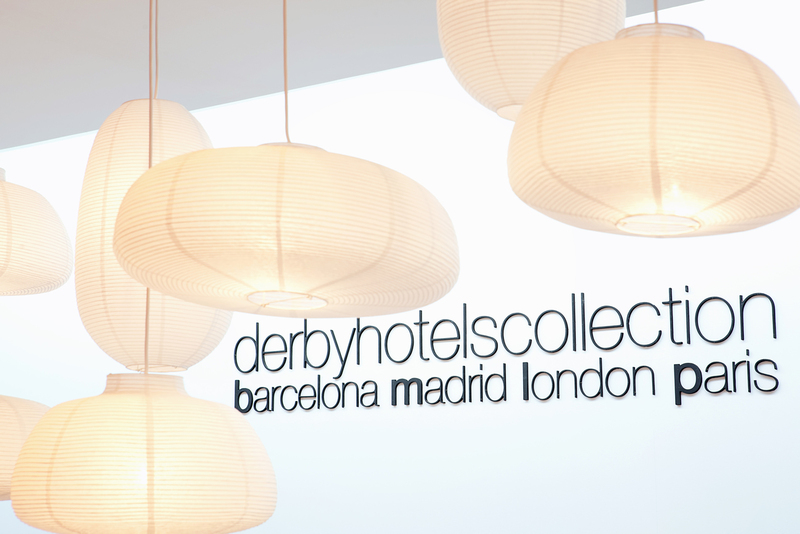 The challenge that this space presented was trying to put together a single stand to represent four different hotel chains: Derby Hotels Collection, Majestic Hotel Group, Gallery Hotel and Diagonal Hotels. 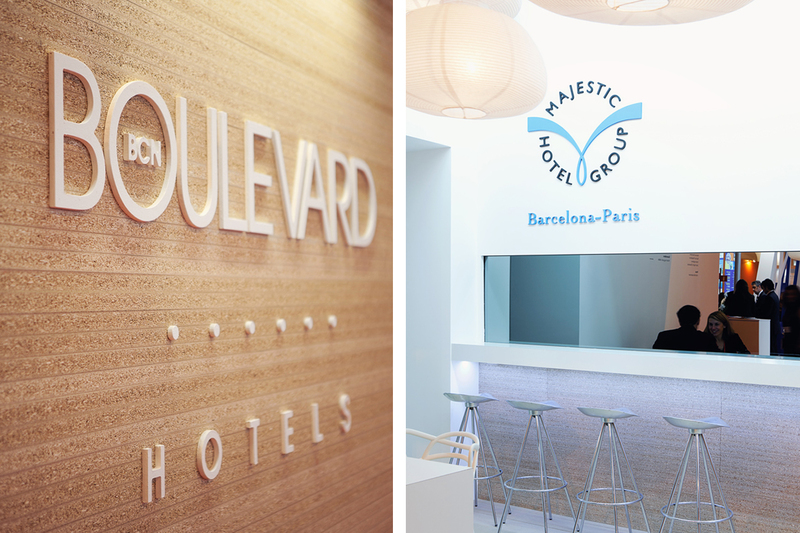 To do this, we turned the central area into a shared storage space: a large block, covered with particle board, which in turn separated the stand into two distinct areas. 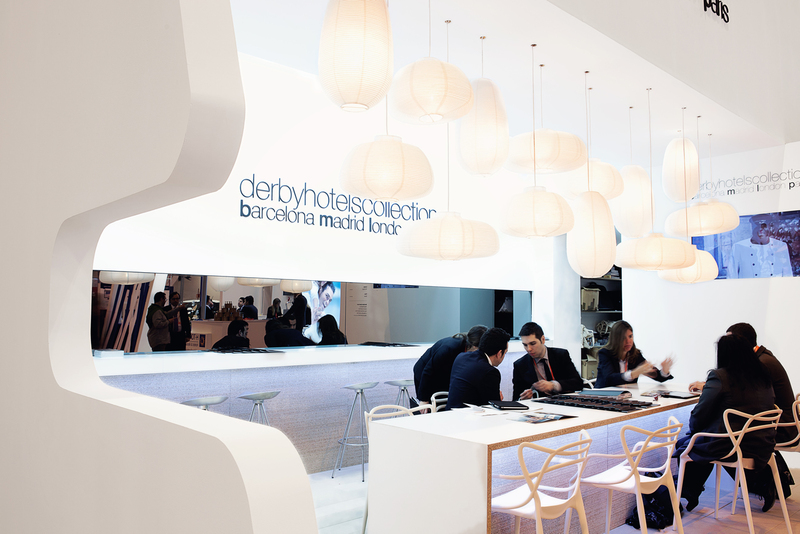 The materials used, such as the particle board placed edgewise, showing the “bad” side that is usually hidden away, together with custom-made furnishings from the same material and round white paper lanterns hanging from the ceiling, created a warm, clean and unique atmosphere.